You might want to buy a quality Polo Shirt. 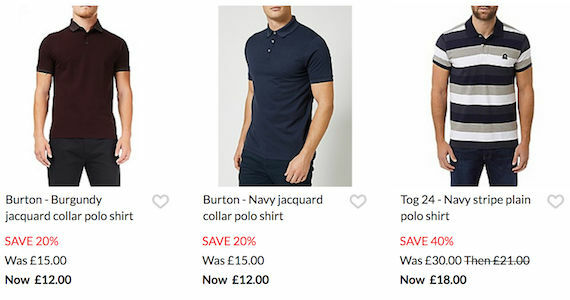 You can save as much as 50% on selected polo shirts when you buy from Sports Direct, Sainsbury’s, and ASDA. Special offers are up for grabs so don't waste this opportunity to purchase Polo Shirts at affordable prices. Our team of enthusiastic bargain hunters has updated the list of the latest Polo Shirt deals just for you. 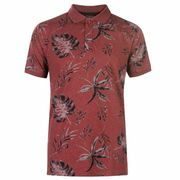 Check the Latest Deals site frequently to know about the latest cheap Polo Shirt offers and bargains. Our deal hunters will share to you important information to help maximise your savings. Find the latest voucher codes on polo shirts designer brands! A polo shirt is also known as a tennis or golf shirt. It is a type of shirt with a collar typically with two or three buttons. Other polo shirts have an optional pocket. Polo shirts can be made with any kind of fabric but it is usually made from knitted cotton. 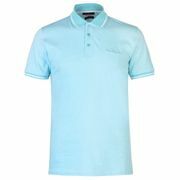 There are also polo shirts that are made from silk, synthetic fibres, merino wool or a blend of natural and synthetic fibres. The dress-length version is called a polo dress. In the 19th and 20th centuries, tennis players only wore white long sleeves that are rolled up paired with flannel trousers and ties. This type of attire presented many problems with the ease of play most especially when it comes to comfort. Rene Lacoste a French seven-time Grand Slam tennis champion felt that playing tennis in that attire is somewhat uncomfortable. He then designed a white, short-sleeved cotton shirt with a protruding collar and buttoned placket. The shirt also had a longer tail in the back which is known as a tennis tail. He wore the shirt during the 1926 U.S. Open championship. In 1927, he placed the now very famous crocodile emblem on the side of his shirts because the press referred to him as The Crocodile which was a nickname that he embraced. His shirt design mitigated the problems with the previous attire that is worn by tennis players. You may be interested in buying cheap work polo shirts. Purchase the items that you need from the retailer that you can trust such as Debenhams, Amazon, House of Fraser and Zavvi. 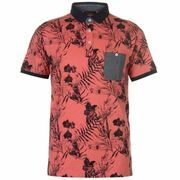 There are various polo shirts that are designed for men and women on sale from polo shirts designer brands such as Lacoste, Ralph Lauren, and more. You can make use of exclusive cheap polo shirts offers and special discounts so that you can stick with your financial plans. 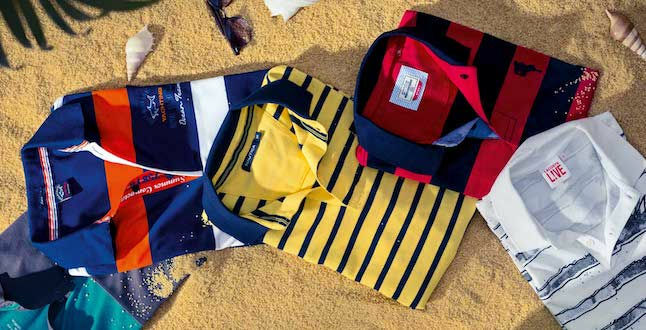 With great choices of polo shirts available, you are sure to find exactly what you are looking for. Today there are lots of polo shirt brands that you can choose from. They also come at different prices. If you are looking for a luxury polo shirt, you can purchase them at very affordable prices. Our savvy money-saving experts will gladly assist you so that you will not have a hard time budgeting your money on the items that you want to buy. 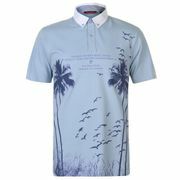 If you want to get important information about the various polo shirts designer brands then you came to the right place. Good thing our team has listed the latest cheap plain polo shirts deals from the most trusted and reliable brands and online retailers. You won't have to leave home to use the latest polo shirt voucher codes and go shopping for the item that you want to buy. Take this wonderful chance to find the polo shirt that you want at very low prices. Choose from a wide variety of designs and colours available. There are polo shirts for adults and children. You can buy them from Sports Direct, ASDA, Sainsbury's, and other UK retailer. Fabric. Quality polo shirts should be made from 100% cotton. This is the most dominant fabric today. It is soft and durable. Cotton is also less likely to shrink and it is also wrinkle-resistant. Texture. The texture of the fabric is very important since it will give the level of comfort. Pique is a polo shirt fabric that is very comfortable to wear. Polo shirts should also have a double-knit design. Colour. The colour of the polo should look luxurious. You will notice the quality of the polo shirt upon your first glance at the clothing. The colour should not fade when you wash it for the first time. Brand. There are many polo shirt designer brands. Some famous polo brands are selling their products at a higher cost but it is well worth it than buying multiple polo shirts that are low quality. Christopher Raeburn. These polo shirts have an intelligent eco-friendly design. Some of their polo shirts are made from recycled parachute silk. They also have polo made from jersey cotton. APC. This French fashion label polo shirts are great worn with a pair of jeans. It is simple yet versatile. You can practically wear it for any kind of casual or semi-formal activity. Raf Simons for Fred Perry. They are recognised for their standout pieces that are specially made for summer. Their polo shirts are very cool and you can wear it comfortably even in the hot summer months. Y3. This label is made possible with the collaboration of designer Yohji Yamamoto and Adidas. They are well known for making athletic wear and sport polo shorts. Sunspel. Their polo shirts have a classic look. They are made from 100% cotton which is very comfortable to wear. They have various kinds of fit so that you can find the right one for you.